Join us for a fun-filled weekend with this family friendly event! 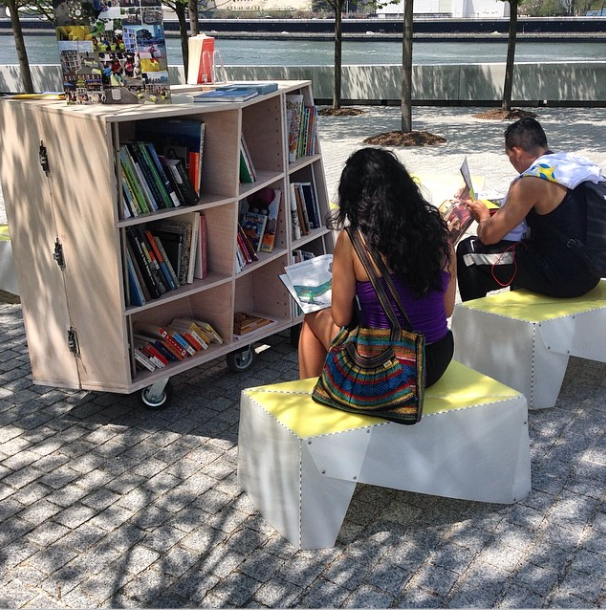 At the Uni Project, our pop-up reading room, come sit outside, read, participate in Story Time, make crafts, enjoy the view, and explore a curated collection of books and hands-on materials. On Saturday, September 15th Story Time will be led by Jennifer from the Roosevelt Island Public Library. On Sunday, September 16th Story Time will be led by Robyn from Drag Queen Story Hour. Story Time is at 12:30pm and 2pm on both days. Saturday, September 15 & Sunday, September 16 and Saturday October 20 & Sunday, October 21.